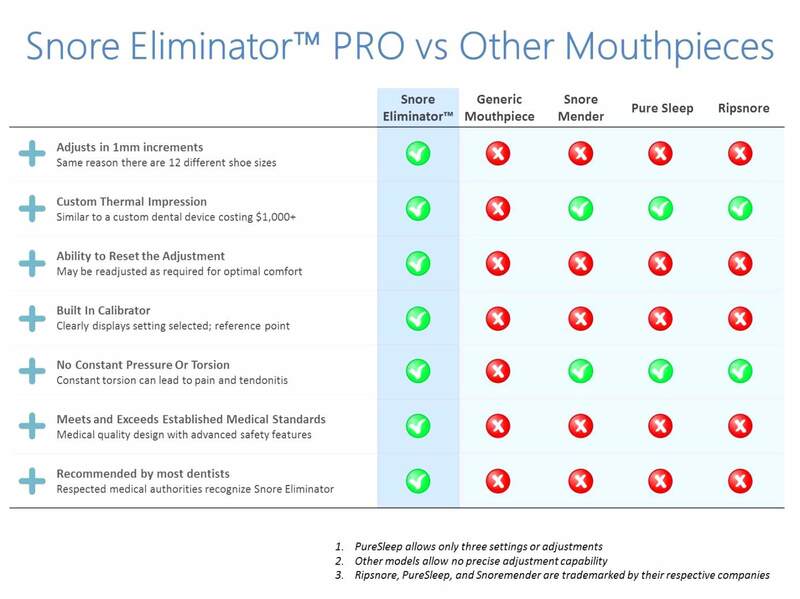 Snore Eliminator™ PRO outperforms other anti-snore devices, delivering top quality comfort, safety and results. Latest adjustable feature makes the Snore Eliminator Pro one of the most effective and advanced anti-snoring mouthpiece on the market. Snore Eliminator™ PRO delivers a medical grade quality product that offers superior clinical effectiveness and greater comfort. Medical professionals recommend oral appliances be designed with a custom impression to prevent tooth movement. Three core features to look for when purchasing an anti-snore mouthpiece: custom impression, compliance with medical standards, and adjustable feature. 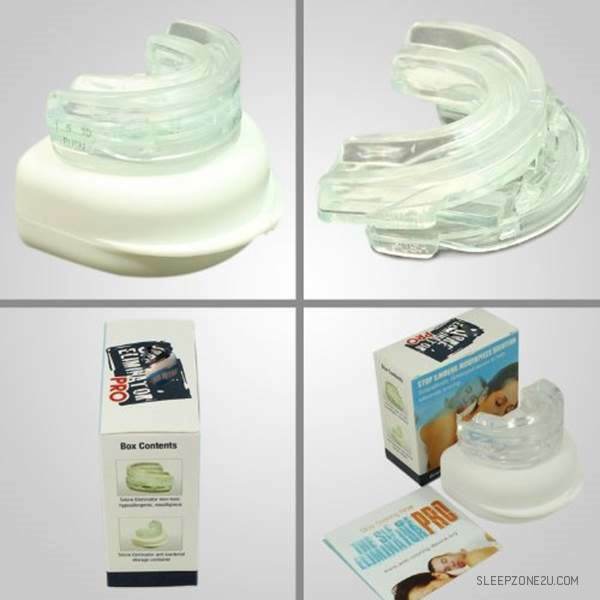 With custom molding on the top/bottom to fit your bite exactly, and the adjustable locking function, you are looking at anti-snoring technology second to none!